To The Batpoles! Batman 1966: #040 Adam West goes "Back to the Batcave"
#040 Adam West goes "Back to the Batcave"
In his 1994 book Back to the Batcave, Adam West tells… some. 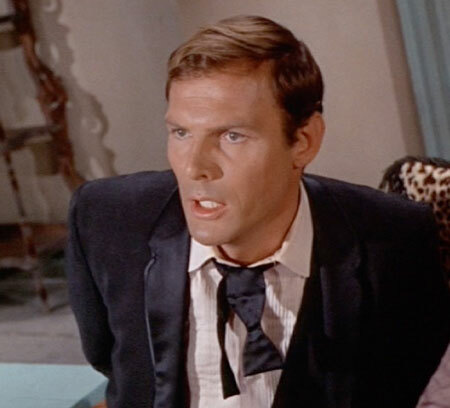 Yes, there are recollections of funny things that happened on the set of Batman, a discussion of the development of how the character Batman would be played on the ’66 show, and answers to some lingering questions that have come up on this podcast. On the other hand, his love life recollections tend to be shrouded in anonymity, and mentions of Burt Ward are surprisingly few and neutral. Also, a disturbing number of his assertions are provably false! Having read Batcave, Tim and Paul try to clean up the record, parse West's negative reaction to Batman being referred to as “camp”, and consider the question: What if Batman had used a laugh track? PLUS: The Ventures' version of the Batman theme!